Sales of Nokia's first Windows Phone devices are set to fall short of expectations, according to industry analysts. 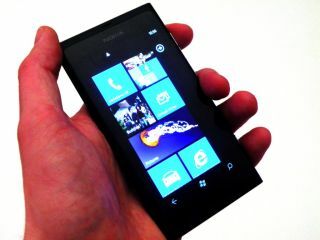 Bernstein Research reckons that the Nokia Lumia 800, which launched in the UK last week, will only ship half a million units before the end of 2011. Analyst Pierre Ferragu has been checking out data on Google Trends and found that the buzz level is around the same as the Symbian-powered Nokia N8, which endured a tough time. Another firm, Pacific Crest says it had expected the Lumia 800 to ship up to two million Christmas-boosted sales, but have now switched the estimate back to just half-a-million. The Bernstein analyst believes that the odds are against the Lumia 800 being a smash hit. Ferragu writes: "With no breakthrough innovation, we believe Nokia's new phones are unlikely to get traction in a highly concentrated high-end. "Second, we don't believe Lumia phones are competitively priced. Third, we believe in economics of increasing returns for mobile ecosystems and judge rather unlikely that Windows can gain critical mass against Android and iOS. "Fourth, we have seen evidences of lack of traction for the Windows operating system over the last 12 months and challenge the idea that the Nokia brand can make a meaningful difference today." Nokia, on the other hand, is believed to be quietly satisfied with the uptake of its Windows Phone rebirth so far.